Arts Access Aotearoa is governed by a board of trustees. Richard Benge is the Executive Director. Richard is responsible for delivering the strategic plan, manages the staff and volunteer team. and reports to the board of trustees. Previous roles include Cultural Affairs Specialist at the United States Embassy in Wellington; Manager of heritage icon Old St Paul’s; and an independent events and communications specialist. After completing a BEd degree from Victoria College Rusden (Melbourne), majoring in drama and English literature, Richard worked as a high school teacher and for Arts Access Victoria as an artist-in-residence in psychiatric hospitals. Dawa is responsible for the day-to-day running of Arts Access Aotearoa’s office, supporting the Executive Director and Board of Trustees and delivering the fundraising programme. Before joining the Arts Access Aotearoa team, her work has included office administrator and programme co-ordinator roles. Dawa has a BA degree majoring in theatre from Victoria University of Wellington. She has designed and built costumes and operated the sound desk for a number of Wellington shows. Dev is responsible for managing the finances of Arts Access Aotearoa. His role includes producing annual budgets, monthly financial results, monitoring of expenditure, payment of creditors and payroll, as well as other projects. Dev has a Bachelor of Commerce degree from the University of Otago and a Bachelor of Law degree from the Victoria University of Wellington. He is a full member of the New Zealand Australia Institute of Chartered Accountants. Dev has more than 20 years’ post graduate experience in finance. Claire is the first point of contact for arts venues, organisations, festivals and practitioners planning to become more accessible and inclusive in the arts. She assists and advocates for creative spaces around New Zealand, and co-ordinates the Arts Access Awards and the Awesome Arts Access Auction. Previous roles include Education and Community Assistant (2013); White Night Co-ordinator and New Zealand Artist Liaison for Auckland Arts Festival (2011);and co-ordinator of youth theatre projects in South Auckland. After completing a BA from Victoria University of Wellington, majoring in theatre, film and English literature, Claire trained as a workshop leader in the arts in Liverpool, England and co-ordinated outreach arts workshops while working in the theatre-in-education department at World Museum Liverpool. Jenny’s role is to support and connect creative spaces around New Zealand, strengthening their resilience and capability, and championing the value they bring to the people and communities they support. Jenny has extensive experience in the arts and disability sectors, including start-ups, community development and administration roles. She worked as Community Development Manager at Māpura Studios in Auckland for three years. She has an MA in Arts Management and is studying for her MA in Arts Therapy. Jenny says she is very excited to be working with creative spaces through this newly created position with Arts Access Aotearoa. Chris delivers the Arts in Corrections Advisory Service and advocates for the arts as a tool supporting prisoner rehabilitation and reintegration. 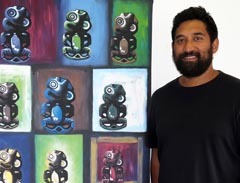 He is a practising artist of Samoan, Niuean and German descent. He holds an MFA from Massey University and a Bachelor of Performance Design (Hons) from Massey University and Toi Whakaari: New Zealand Drama School. 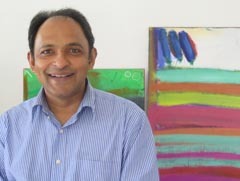 He has also worked for Community Corrections in Wellington and has extensive links in the arts and Pasifika communities. He has developed solo projects with SCAPE Public Art and The Physics Room, Ōtautahi (2018), Play station, Pōneke (2017), and CIRCUIT Artist Film and Video Aotearoa. Iona is a published children’s writer, a former journalist and editor. She worked at Creative New Zealand from 1997 to 2004. In that time, she project managed most of their publications, as well as writing and editing them. These included a quarterly arts magazine, the annual report and strategic plans, several research reports, and a guide to marketing the arts. In early 2009, Creative New Zealand commissioned Arts For All, a guide to providing access and marketing the arts to people with disabilities. Iona project managed and edited this publication and its revised edition in 2014. We have a team of volunteers, who provide valuable support in a range of ways, including communications, database updates and office support. Mel Smith CNZM, Wellington: BA, Graduate Henley College Oxford Senior Executive Programme, Templeton College Oxford Leadership Programme and Former Ombudsman. Miranda Harcourt ONZM, Wellington: A leading New Zealand actor, Miranda Harcourt has worked with the Deaf community. She has also worked in the drama-therapeutic field with physically and intellectually disabled people. In addition, she has worked with men and women in prisons throughout New Zealand. Dame Rosemary Horton DNZM, QSO, QSM, Auckland: Dame Rosemary Horton is a philanthropist and mentor for New Zealand charities. 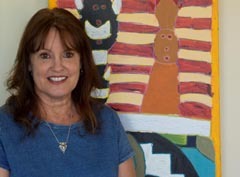 Her passion over 40 years has included disabilities, the arts and health. Dame Rosemary has been the patron of the Arts Access Accolade and mentor to the organisation since 2014. Dr Karen Webster, Chair, Auckland: is senior lecturer in the Faculty of Health and Environmental Sciences at AUT and previously held part-time teaching positions at the University of Auckland. Her wide-ranging research interests focus on Māori and Pākehā governance models, sustainability, and the role of local government elected members. Karen’s 15 years’ experience in Auckland local government follows two decades of service in the New Zealand Army, ten years professional real estate, and nursing in the public and private sectors. Erin Gough, Wellington: has strong links to the disability community locally, nationally and internationally, forged through her advocacy work. This includes legal advocacy through her role at Community Law Canterbury (2015) and human rights advocacy through her former role as Disability Rights Advisor at the Human Rights Commission (2015–2018). 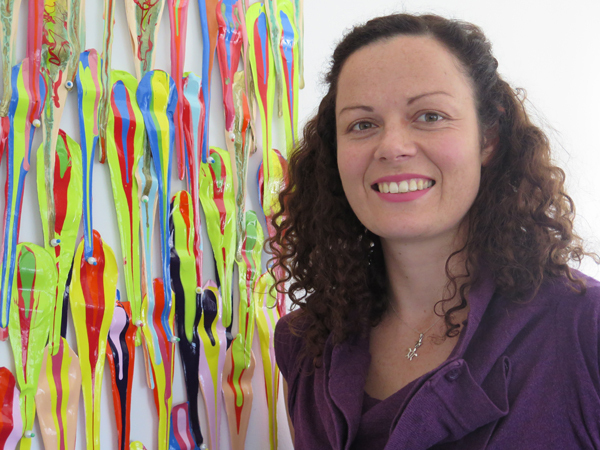 Erin, who has a BA/LLB (Hons, first class) degree from Canterbury University, has been an Arts Access Advocate since 2014. She has run advocacy initiatives and participated in advocacy-focused groups, contributing to submissions and discussions from a disability perspective. She currently works for the Ministry of Education. Lynley Hutton, Wellington: has more than 20 years of leadership experience across the government, private and education sectors. Previously Investment Assessment Manager with the New Zealand Transport Agency, Lynley is experienced working in accounting and financial management in various roles. In addition to holding a number of management roles with responsibility for staff, associated budgets and oversight of very large infrastructure investment portfolios, she has been involved in a number of voluntary organisations’ committees and boards. 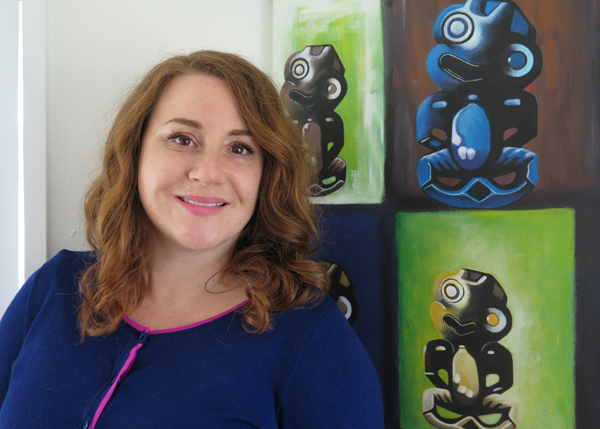 Kim Morton, Christchurch: Manager of Ōtautahi Creative Spaces in Christchurch, a creativity initiative supporting people with experience of mental illness and earthquake trauma. Kim is a staunch advocate for creative arts as a powerful means of transformation and social change. 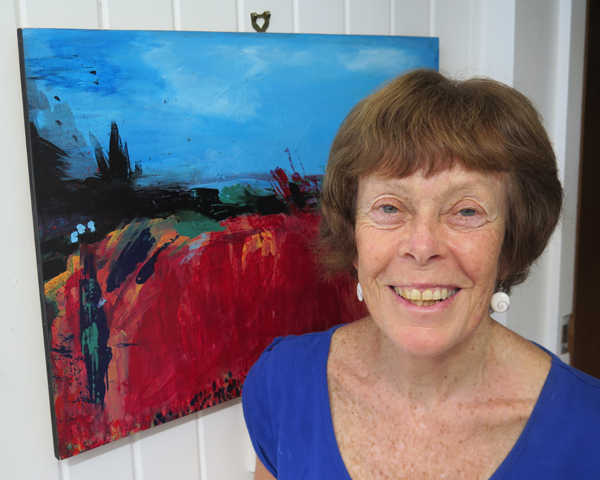 She draws on her experience working at King Street Artworks in Masterton and as a governance board member of Vincents Art Workshop for many years. A qualified lawyer, Kim has worked in the community law and access to justice sector, and has served on a number of other governance boards. Te Aturangi Nepia-Clamp, Gisborne: of Ngāti Ruapani, Ngāti Porou, Rongowhakaata, Kahungunu and English descent. He has more than 40 years’ experience in promoting and delivering art projects, pioneering new thinking particularly in Māori art in public places and making art available for all. He is an experienced board member and a cultural arts consultant with a deep understanding of Māori tikanga. A Winston Churchill Fellowship recipient, he has received numerous art awards, commissions and grants as a carver and sculptor. Stew Sexton, Wellington: has run his own company AbilityDis Consulting since 2010, specialising in promoting the inclusion of people with disabilities into all areas of society and focusing on accessibility training. Since 2010, Stew has been involved at a governance level with CCS Disability Action. He was Vice Chair of the national board from 2012 and 2014, returning to its Wellington governance committee and becoming the Chair in 2016. Also in 2016, he was appointed a director of Odd Socks Productions, which promotes and facilitates the use of New Zealand Sign Language in the arts. Ruth Smithers, New Plymouth: An experienced senior executive and director of small business with an extensive background across both public and private sector organisations. 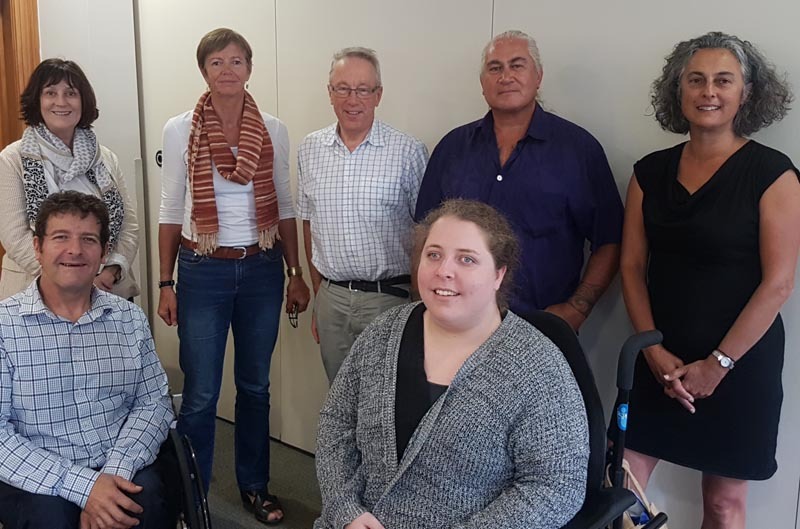 Ruth has worked in health and social services development and delivery for 30 years, and is currently Deputy Chief Executive for Tui Ora, a large regional health and social services kaupapa Māori NGO. She possesses well-developed general and specialist management expertise, plus strong business acumen. Tertiary qualifications include a Master of Business Administration (Distinction) from Massey University. Original generation time 1.3429 seconds. Cache Loaded in: 0.0431 seconds.